A rail-siding warehouse is built on site and to customer specifications. This means that deliveries and shipments come and go right to your doorstep, and there’s always enough room for products to be kept neatly organized. It also means workers can unload deliveries quicker and with ease because the warehouse doesn’t need to be reorganized every time a new shipment comes in. A delivery truck has a shipment capacity of approximately 26 tons. In comparison, a rail car has the capacity of 100 tons. This 75% difference can’t be ignored—especially when fuel, driver wages, and vehicle maintenance are taken into account. Business owners who use a rail-siding warehouse save a great deal of money. Punctual deliveries and shipments save time and money and ensure product safety. The rail system’s simple logistics avoid stops at multiple shipping facilities and the unloading and reloading of products. The rail system also operates in all weather conditions, avoiding road closures and delays. Business owners who utilize the advantages of the safe, reliable rail system rest easy knowing their deliveries and shipments will always be on time and their products will always be kept safe. The rail system doesn’t take breaks or special requests. Workers will know the rail system’s schedule and can gear their work day toward it to maximize the amount of time they spend doing meaningful work. An advantage for business owners is that because shipments are never delayed or late, they don’t have to worry about their workers sitting around doing nothing while waiting for a held-up delivery. Furthermore, business owners who take advantage of the rail system don’t have to worry about paying their workers overtime in the event that they have to stay after hours waiting for or unloading a late delivery. Every region of the United States has extreme weather conditions. Whether it be rain, wind, or snow-related, business owners have to deal with extreme weather at some point every year. The two factors associated with extreme weather that cost business owners time and money are delays due to road closures and traffic. Every second a delivery is late costs business owners money. If you’re a business owner in an area where extreme weather is common, the money loss can add up quickly. The rail system operates in all weather conditions and at all times of the year. Most business owners anticipate business growth. But the idea of planning and budgeting for it oftentimes gets neglected. One way a rail-siding warehouse can help you save money as your business grows is by eliminating the need to relocate, renovate, or rebuild your warehouse. Because business growth is taken into account before building your warehouse, it will be large enough. And as previously alluded to, rail cars can easily take on an increased amount of product. 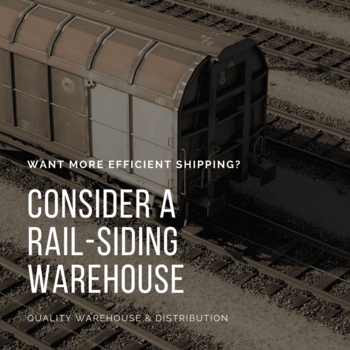 If you’re struggling to maximize your shipping efficiency, a rail-siding warehouse could very well be the solution to your problem. The six reasons highlighted in this post are strong examples why. 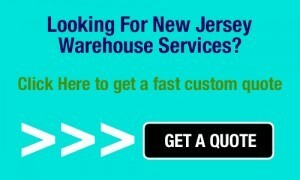 Many shipping problems will be resolved when business owners make the switch to a rail-siding warehouse.